Microscope This illustration required a complex perspective construction to accurately place the numerous perspective points required. Although I can claim credit for the illustration, much of the aesthetics lie in the original design of the microscope itself. An interesting point arises here. Xara's zoom facility allows a magnification of x25,601. 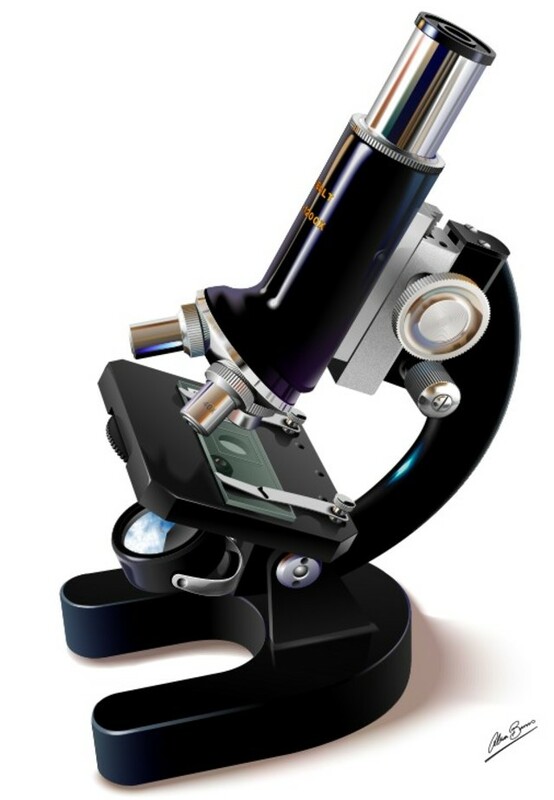 The highest magnification on this particular microscope is only x1,200. This means that Xara allows you to illustrate down to sub microscopic levels, showing detail which would be impossible using an equivalent photograph. Click Here to see what is revealed at x25,601 magnification.